The action begins with the first of a string of very high-profile people seemingly committing suicide. 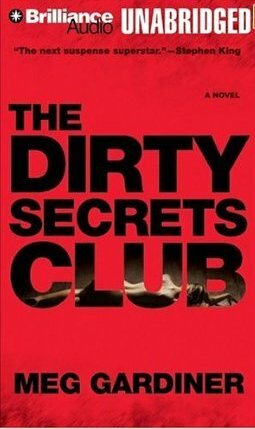 As Jo delves into their lives she discovers they all belong to an organisation called ‘The Dirty secrets Club’, a group of people with dark secrets. The darker the secret the higher their status in the club. As Jo uncovers more twists and turns in the investigation it becomes apparent the members of the group are being blackmailed and Jo herself becomes a target. The flashback of Jo’s life and the trauma she suffered help to round her out and add to the story. Great writing, very good characters and an extremely fast paced storyline. Not your typical murder/suicide thriller as this is told from the perspective of Jo Beckett, a forensic psychiatrist who performs psychiatric autopsies on victims, determining why they died as opposed to how. Parts of the story seem a little contrived but that didn’t detract from the overall enjoyment of a good story. Jo is a very likeable and interesting character and I like the way little teasers of her past are dropped into the story here and there. Susan Ericksen does a great job. I love her narrations, she’s one of the best female narrators I’ve listened to. Her characterisations are extremely good and her readings always convey just the right amount of emotion and drama.